High blood pressure or hypertension is thought to affect over 230,000 people in Devon. 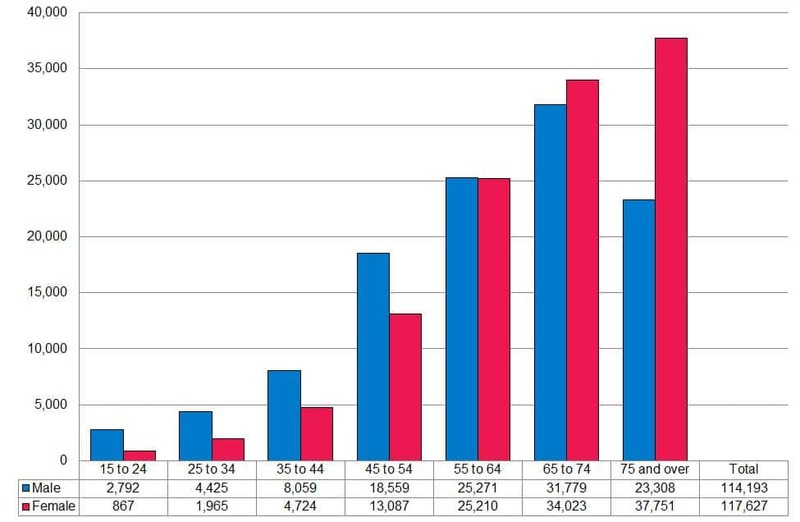 Prevalence increases with age as illustrated in table 9.1 and figure 9.12, and whilst rates are higher in males below the age of 65, they are higher in females above the age of 75. An important factor in hypertension is detection, as according to the Devon long-term conditions health needs assessment only around 53.4% of people in Devon expected to have hypertension were on the GP disease register for hypertension in 2015.